“Nothing normal has ever happened to me,” the speaker in Mary Meriam’s new collection professes in the final line of her poem, “Map.” This poem falls near the fulcrum of My Girl’s Green Jacket, and I smile to myself as I read it. Of course nothing normal has ever happened to this speaker. She isn’t primed to view the world through a normative lens. 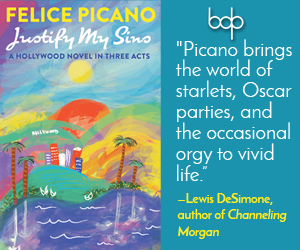 Her lexicon and allusions are unusual, never run-of-the-mill. She pledges no allegiance to any notion of an Ordinary. I smile also because it feels very “like” Mary Meriam—I have been reading her poems for years—to lodge a map deep inside her book (a map-poem which in fact contains the lines “You may travel here by jet and car/ And never reach me I am in so deep”) rather than presenting a map to readers at the outset. This gesture of literary arrangement is another way to convey how unnavigable the terrain of the heart truly is. We have no map for love, so why pretend? We have no atlas for loneliness or longing either. But these poems never promise to take their readers from a nameable, containable Point A to Point B—certainly no promises of linear trajectories. What they offer instead is something more valuable and certainly more honest: an intricate plumbing of the speaker’s internal geographies and the varied landscapes against which her life has been lived. Dreams are hard to articulate. Dreams are hard, period. But here the dream manifests as anything but vague, anything but a floating abstraction which readers glimpse merely in shadow. This striking personification from the first poem sets the tone for a collection where fourth walls are regularly broken (the reader is never not implicated in Meriam’s poetics) and where colors are consistently and vividly evoked. Here I present to you only the initial glimmers of this book’s fiery swaths and feathery wisps of color. 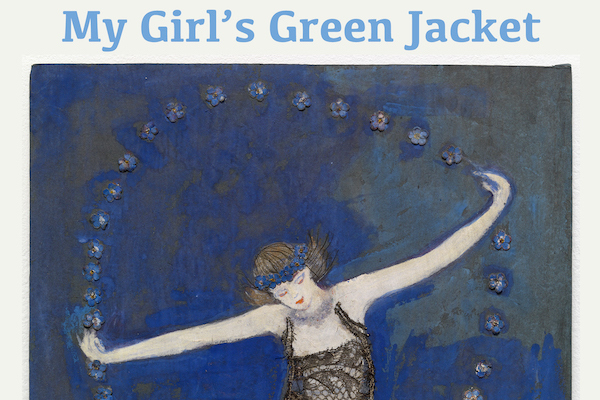 The rainbow—as palette, as politics, as identity—permeates every page of My Girl’s Green Jacket. Meriam’s project might be described as a recursive quest after effable and ineffable things. Our speaker is searching for some specific answers, of course: “Where is my girl’s green jacket?” she wants to know. Also: “Why am I camping in these woods?” Also: “How could I giggle, then, about my thinness?/ How could my millionaire friends, two artists,/ watch me die, poor and starving?” But the quest is likewise, and always, existential: what does it mean after all to be “a woman writing love letters/ That she [the absent beloved] will never read”? Our speaker addresses Sentimentality, much the way we are told to turn and confront a frightening specter stalking us through a dream: ‘Would you answer, please,/ would you answer this soul, this flesh at last?” Our speaker ponders, “What could October ever satisfy,” as her poems move cyclically through the seasons several times, always returning to the paradox of imminent harvest and imminent death—what we gain and what we lose in tandem. Our speaker takes up the torch of a fellow poet’s question—Muriel Rukeyser’s “Will there be suffering in the healing”—and devotes a poem of her own to its contemplation. 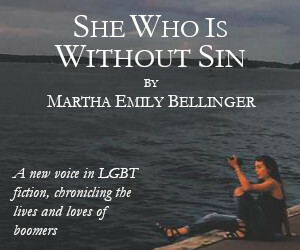 Of herself and her origins, this speaker muses, “I never was, in truth, a daughter,/ only a question that couldn’t be asked,/ only a problem that couldn’t be solved.” Her own life she contextualizes as an unspoken (perhaps forbidden, perhaps inexpressible, perhaps both) query—and of course we hear the queer inside it. There is also this essential litany, which speaks to our shared human quest, uniting readers and writer alike: “How to catch on fire, how to find home, how to breathe, and how to be less broken, and why, and for whom.” How indeed! These questions seem to address me personally, yet they also articulate something profound and universal. They burn at this collection’s wild-apple core. I mentioned above the poem “It Gets Better,” which engages the spirit of our times in a meaningful and unexpected way. There is also “A Political Poem with Emotional Parts,” the title of which I plan to assign to all my future poetry students as a generative writing prompt. How deftly, even before the poem begins, has Meriam challenged the binary between “political” (public/mind) and “emotional” (private/heart). As deeper into the literary and linguistic woods we wander, we find another poem already in conversation with this one: “Attack of the Fanatics.” More inquiry: “Did they question the men also?/ Or did they only question the women?” As we begin to wonder about the nature of these questions, our speaker offers another direct, unflinching articulation: “The lesbians are policing the lesbians./ Who are you? How do you define yourself?” In this poem, Meriam confronts the difference between the quest in question and the gate in interrogation. Her speaker, an inquirer searching for insight, is confronted by “interrogators” who “peer through [her] telescope backwards.” This is a powerful image for a pervasive problem: attitudes that shrink the world rather than expanding it. The “fanatics” of the title are practicing that old game of keep-away, even within a group where so much has been kept away already (horizontal hostility)—Who counts as a lesbian, and who doesn’t? Who has the right to belong here, and by what name? Self-definition is pitted against group definition in this poem, and our speaker’s epiphany at the end is among the most haunting in the book: “I am unknown to myself,” she explains, “with only a word/ my sisters found on Lesvos and gave me.” Our speaker, symbolic descendent of Sappho, seeks here to claim her heritage as a woman-loving poet through a single word of multiple valences: a particular place, a specific genre, and a distinctive pattern of desire. Poet of Lesbos becomes Sapphic poet. Woman of Lesbos becomes Lesbian. Our speaker claims her name, come hell or high water: “my sails a-shiver in the salt-stained waves.” The present moment seems to promise both. Finally, there are the skillful sonnets and accomplished ghazals—not to mention that stellar villanelle “Liebegott” with its stunning imperative, “Look hot on me and turn me red”— that Meriam uses to uncouple traditional forms from traditional content. She turns classic poetic models, the “tried and true,” into vessels of contemporary, even controversial, expressions. In the process, I hear Meriam subverting her own early pronouncement that lesbianism is a condition without a home in high culture. What’s more “high culture” than a sonnet after all? What’s prettier or more pleasing to the ear than the way a villanelle resolves, than the way a ghazal repeats? Make sun-sounds of alarm in distant trees. Of branches, shaking shadows in a breeze. And who else knows their language. Other birds? Are crows upset for life, or do they play? The crows make pictures of the ancient words. The crows make highways down to hell and back. The crows make squares and circles on the lake. In rainbow streaks, and eye you like a snake. Whose rituals and wishes no one knew. The only place to go: inside herself. Oh, but she didn’t want to hide herself. A deathly dampness, crows, the tide, herself. Cracking the still, some chimes, re-bang, re-bong. A breath of icy air inhaled and felt. A gunshot. Breath exhaled. What died? Her self. Bleak and abroad, these sounds, sensations, sights. in wilderness, and dignified herself.